What do you do when your life takes an unexpected turn for the worse? Where can you turn when everything you have worked for comes crashing down and your title no longer serves as your identity? 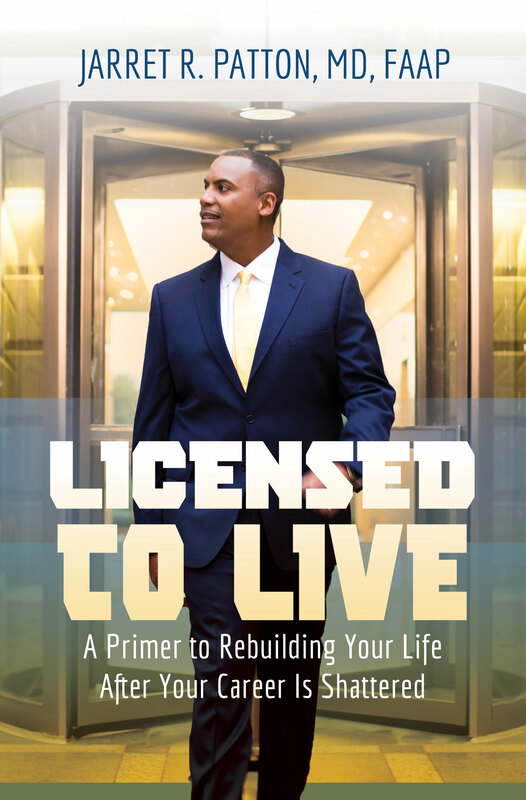 In Licensed to Live, Doctor Jarret offers sound advice to aid those who, like him, have been under attack from medical boards, certification agencies, hospital systems, legal systems, or the public at large. From insightful coaching on how to handle the initial assault upon your character to proven tools for effectively resetting your life, Doctor Jarret will help you turn your tragedy into triumph, no matter your occupation. If you are going through a battle—legal or otherwise––Doctor Jarret will challenge and inspire you to persevere through each stage of transition. Filled with thought-provoking questions and sage advice, Licensed to Live provides you with a step-by-step roadmap for making your greatest comeback. Add Doctor Jarret's other book today for $19. Are you struggling with an entitled child? Are you living in regret that your teenager’s outbursts are a result of you not letting them “cry it out” as a baby? Are you trying not to ever be that parent strangers gawk at in the mall due to your kid’s bad behavior? Wherever you are along your journey, this book will arm you with strategies to transform your parenting style and your child for the better.